https://www.tradingdepot.co.uk/ideal-standard-concept-oval-62cm-countertop-1-taphole-basin-overflow 27516 Ideal Standard Concept Oval 62cm Countertop 1 Tap Hole Basin & Overflow - E500601 https://www.tradingdepot.co.uk/media/catalog/product/1/_/1_13_26.jpeg 118.87 118.8700 GBP InStock /Bathroom/Bathroom Suites/Bathroom Basins /Brands/Ideal Standard/Ideal Standard Bathroom Ranges/Ideal Standard Concept Range /Brands/Ideal Standard/Ideal Standard Basins and Pedestals/Ideal Standard Concept The Ideal Standard Concept E500601 is part of the Ideal Standard basins range to buy online. 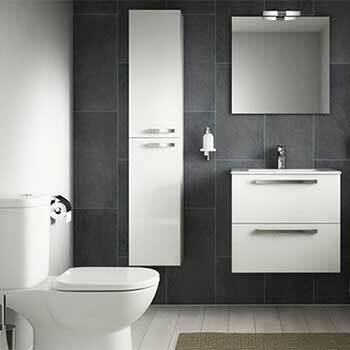 The Ideal Standard Concept range is where creative design meets practical solutions. Choose a style which appeals to your taste from three distinctive basin shapes, then build your dream bathroom around it. With Concept you can fulfil your whole wishlist. You'll discover WC and bathing options, innovative storage, stylish accessories and some very clever ideas along the way. The Ideal Standard CONCEPT Oval Countertop Basin is part of the CONCEPT range from Ideal Standard. This 1 Tap Hole Countertop Basin is 620mm Wide and projects into the room 470mm.